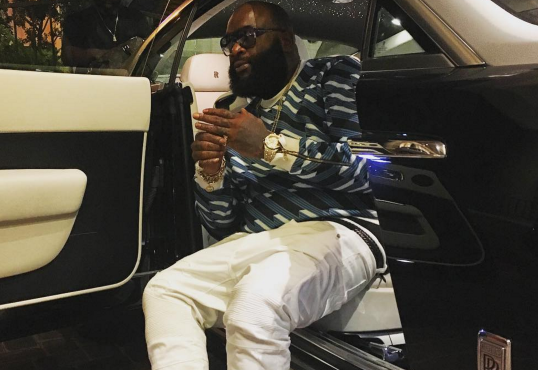 Washington, D.C. – As Rick Ross keeps the Maybach Music Group empire and his Wingstop franchises in order, he’s also involved in an initiative that will help young people get an education. In an interview with Bossip, Ross spoke about a new scholarship initiative designed to combat high school dropout rates. Wingstop Foundation, a nonprofit leg of the Wingstop restaurant chain, will award scholarships to employees and young students from urban areas, while funding grants to groups that work to lower dropout rates through education and mentoring. According to the education advocacy nonprofit GradNation, the work is in high demand. Only 74.6 percent of low-income high school students graduate – 14 percentage points lower than their non-low income students, who graduate at a rate of 89 percent. Statistics also show the high school dropout rate for urban youth at 54 percent. The details of Ross’ involvement aren’t totally clear, but the Miami-bred rhymer owns multiple Wingstop franchises around the country. He beamed about the initiative in New York City while at the launch of Wingstop, the company’s online clothing and accessories store.